CANAL FRONT TOWNHOME IN SE WINTER HAVEN. This 1407 sq. ft. town home offers views from your rear screened upper and lower lanai's of the canal connecting Lake Lulu to Lake Roy and offers lakefront community pool, boat ramp, dock, lawn maintenance, exterior paint maintenance and roof replacement, all for a very reasonable monthly HOA fee. The unit with its thoughtful floor plan has spacious (21x19) living room with tray ceiling, new tile flooring, fireplace, remodeled guest half bath and attaches to the kitchen and garage. Upstairs relax with canal views in the 17x11 master suite with private screened lanai and master in suite bathroom. In addition to the garage the unit has first and second floor storage rooms. 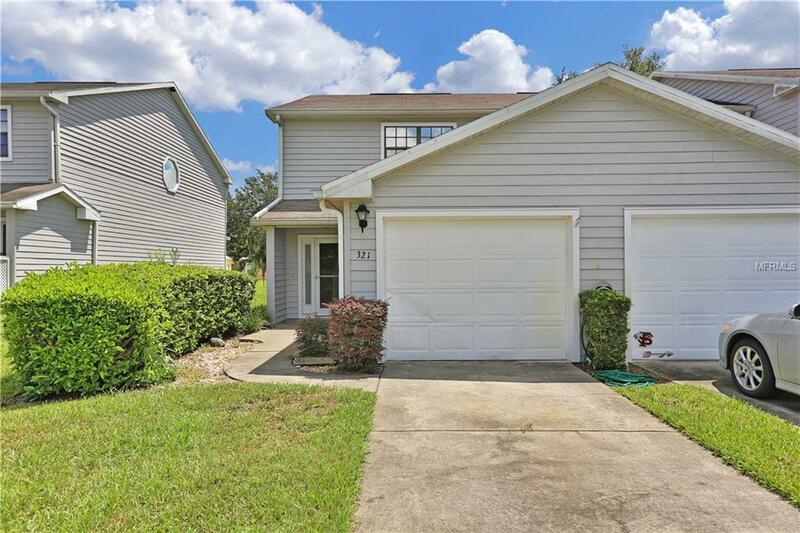 Waterfront Maintenance free living with Winter Haven Chain of Lakes access at an affordable price.